Robert Merwin Hall was born on March 23, 1922, to Robert N. and Nettie Fay (Howe) Hall. Merwin was born and raised near Dunlap at the family farmhouse. He graduated from Dunlap High School. Merwin married Florence Belle Thompson on March 26, 1967. Merwin became a father to Florence Belle’s two girls and loved them like his own. Merwin enjoyed farming cattle, cutting wood and feeding the birds. He especially cherished the quail, pheasants and foxes that lived near his home. Merwin always had a camera and loved to take pictures. He was always interested in learning new things; at the age of 90 he bought a computer and set up the internet in his home. Merwin lived his entire life on the same farm. Merwin died on Thursday, January 24, 2019, at the Rose Vista Nursing Home in Woodbine, Iowa at the age of 96 years 10 months, and 2 days. 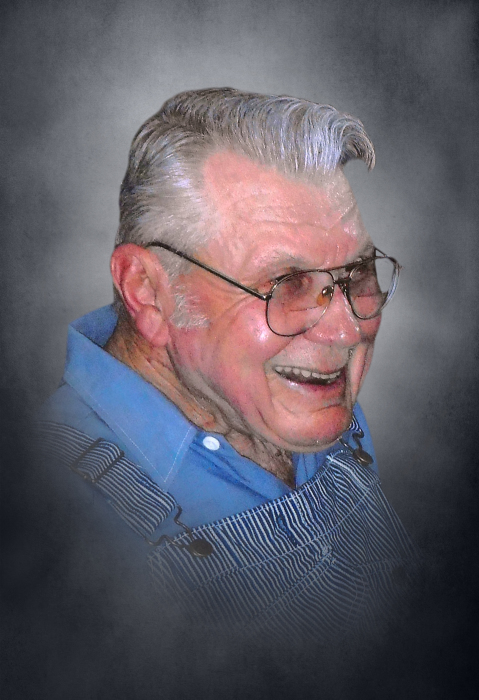 Merwin was preceded in death by his parents; wife, Florence Belle on July 25, 2018; He is survived by two daughters, Chris Cross of Clyde Missouri and Paulette Frazier of Independence, Missouri; two grandchildren, Paul Cross and his wife Melody of St. Joseph, Missouri and Diana and her husband Don Auffert of Liberty, Missouri; great-granddaughter, Melody Mayo; great-great-grandson, Jaxon Vathauer; sister, Ruth Sherwood of Omaha, Nebraska; many nieces and nephews; and other relatives and friends.